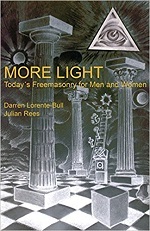 I know Julian Rees for his beautiful book about tracing boards and now he published a new book about “Today’s Freemasonry for men and women” together with Darren Lorente-Bull. Rees has a bit of a name, because he went over from a “regular” United Grand Lodge of England lodge to a lodge of the mixed gender order Le Droit Humain. This British Federation of LDH is what this book is partly about. The book is only 140 pages and the subjects dealt with vary from general information about Freemasonry (history, symbolism, what happens in a lodge, etc.) to a little bit of history of ‘modern’ Freemasonry and finally mixed-gender Freemasonry, the latter giving an idea of the past of the British Federation. Some pages are filled with lengthy quotes and even an entire “piece of architecture” (a lecture). Nowhere the information is in much depth. In 10 pages there are 5 theories about the origins of Freemasonry, to give an example. 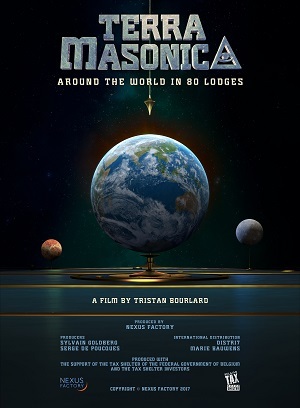 The little book seems to aim at reaching people who are unfamiliar with the subject of Freemasonry in general, giving the idea that there is more than the best-known variety. It does not say a whole lot about the way a mixed gender lodge works though. “More light” makes a light read with here and there some information that was new to me (particularly about the British Federation of LDH). It may teach the hardly informed “profane” a little. The authors claim that this is the first book about mixed gender Freemasonry in English, but of course there already was the book about “the Honorable order of American co-Masonry” (2006). I just run into a website called Call of Bratislava, or modern-freemasonry.com. At this time, we are also voting to create a World Confederation of Masonic Obediences where all will be free, independent fraternal organisations, enjoying equal rights. 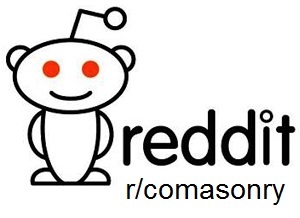 We, the Freemasons, want to make this a reality. The site is fairly informative. 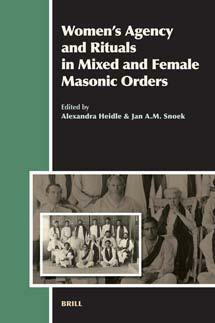 It includes and article on female and co-Masonry and has a little ‘forum’.